Valentin Malinin was born in 2001 in Nizhniy Novgorod, Russian Federation. 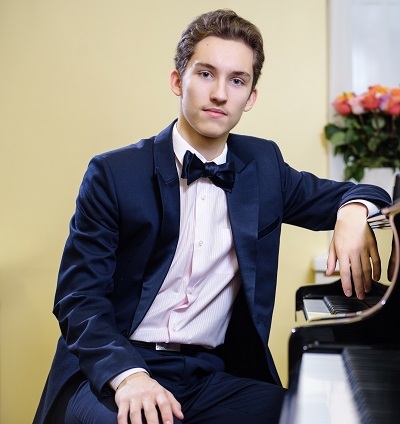 Currently, he is a pupil of the Central Music School at the Moscow State Conservatory P. I. Tchaikovsky, in the 9th grade, under the guidance of Professors N. B. Bogdanova. He is the winner of many national and international competitions and performed concerts accompanied by chamber and symphony orchestras. The young musician participated in different cultural and educational projects, including the Russian Educational Center “Sirius” with the support of the Russian President. In June 2017, Valentin won the EMCY prize at the International Competition for Young Pianists ‘A Step Towards Mastery’. If you are interested in working with Valentin, please get in touch with the EMCY Office.